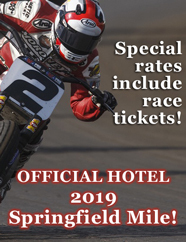 The Route 66 Hotel and Conference Center is locally owned and operated in the heart of Springfield, Illinois on the historic Route 66 only hours from Chicago and St. Louis. Take a nostalgic trip into the past while you stay with us. From the moment you walk in, you’ll realize that we’re not just another hotel and conference center. Our beautifully remodeled facility features a unique “mini museum” with an array of vehicles, signs and articles from the recent past for an authentic Route 66 experience. The hotel was the first Holiday Inn on the Route 66 and opened in the 1950s. 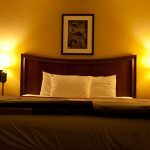 Our 108 guest rooms have all the comforts of home with remote control cable TV’s, clock radios, coffee pots, microwave, mini-fridge, plus FREE local calls, and automated wake-up calls. Non-smoking and handicap accessible rooms can accommodate those with special requests. Check out our Executive suites for room to spread out – and family friendly fun! Splurge in one of our Jacuzzi suites where you can relax away the cares of your day in a spacious living area that features a refrigerator, wet bar and microwave for your convenience. Ask about our special group rates for groups of 10 or more. 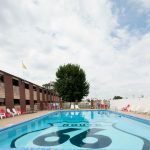 Our outdoor pool is a great place to swim or sunbathe, and is open from late May thru early September. We have guest laundry services available and can provide all hotel guests with FREE passes to a full-service health club located one block from our facility. 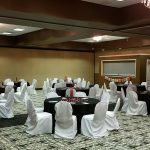 The Route 66 Hotel & Conference Center is the perfect venue for your wedding, meeting or special event. Our spacious Banquet and Convention Center has over 4,000 square feet to accommodate any function. We can host up to 300 guests or as few as 5 to 25. Center pieces, color packs, copy, fax, Internet access, and audio-visual equipment rental are available. Our friendly staff is always available to insure that every detail is in order to make your event an enjoyable one. Our banquet rooms offer a charming setting for weddings, anniversaries, birthday parties, class reunions, etc. today – get an authentic Route 66 experience!